Spring is here and so too are some new arrivals at St Mary’s School. 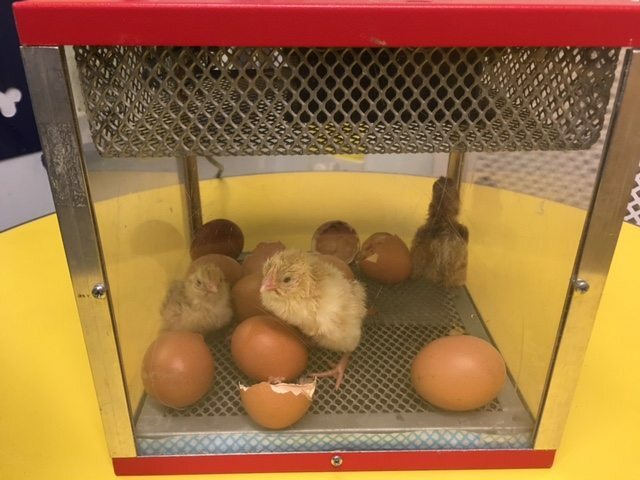 Funded by ‘Friends of St Mary’s School (FOSMS), the Living Eggs programme allows the children to see a real life chicken hatch from its egg! The children will help to look after and feed the chicks over the coming week.